concepts related to ICT & internet development, like: Cloud Computing, Big Data, Internet of Things (IoT)…etc. Since its advent, the IoT has connected many devices, making life easier and more convenient. Many studies predict that, by 2020, the number of connected devices and objects will reach 50 billion. Accordingly, it seems that the future will be for the Internet of Things technology based on the declarations to provide significant benefits for humanity. Because of this revolutionary smart technology, a smooth transformation from traditional agricultural methods to a modern agriculture is becoming a reality. 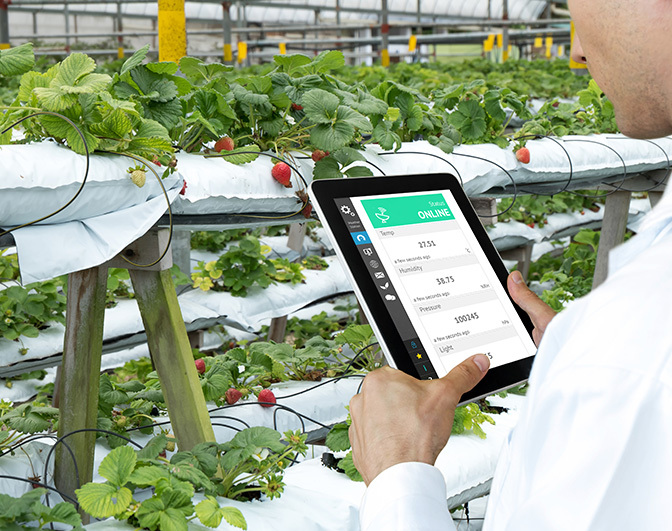 With IoT technologies, farmers can remotely monitor their crop and equipment by phones and computers. They will be able to reduce waste and enhance productivity. But, with positive impact on agriculture and the environment. 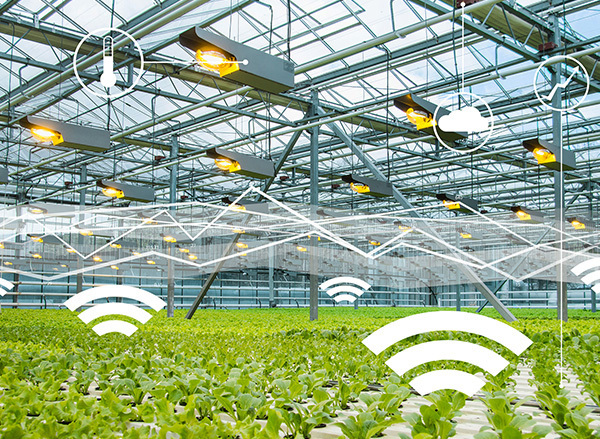 Indeed, Smart Agriculture or Smart Farming based on the applications and solutions of the Internet of Things and any other new technologies are mentioning ground with innovative and promoting features towards the agricultural sustainability and the food security. "Worldwide, the Agriculture development is deemed as the most powerful tool to end poverty and to pr"ovide job opportunities. Research analysis conducted by the World Bank has found that about 65% of poor working adults in the rural areas derive their livelihoods from agriculture (2016) and that Agriculture is also crucial to economic growth: in 2014, it accounted for one-third of global gross-domestic product (GDP). But, Agriculture is facing globally and especially in the Arab and African regions too many Constraint issues and challenges such as climate change, water crises and shortages with a heavy negative impact on food safety & security in the two regions in spite of efforts of many enablers to achieve the sustainable agricultural development. It is clear that we cannot deal effectively with all these issues with the traditional and already available solutions. What is needed at this level is a serious review of the agricultural situation within the two regions and to find out new and sustainable ways for development. Promoting joint "Arab action" towards building a common strategy to achieve "regional food security" including ICT as a key factor for sustainable agricultural development. Increasing the awareness of Arab and African governments about the need of developing a strong capacity building plans. Boosting the inter-regional and international cooperation in the field of Smart farming in an endeavor to coordinate efforts and come up with sustainable solutions for the future of the agricultural sector. Based on its model as a Multi-Stakeholder event, the delegates for the Forum will include high level governments officials, (Ministers, Deputy Ministers, decision makers) representing Ministries of Agriculture and environment, Ministries of Communication and Information Technologies, IoT solutions & services providers and telecom operators in Arab and African regions amongst international specialized organizations and international experts. The two-day international forum"1stInterregional Smart Agriculture Forum" will be divided into sessions/panels dealing with the Smart agriculture and Smart technologies both on regulatory and technical aspects.